Finished basements add great living space and even potential rental income but those rewards do come with risks naturally too. Here is a finished basement in a 2 year old home that looks great to the naked eye, has no immediately obvious stains, smells, or defects. Closer inspection reveals slightly raised areas of the engineered floor, not consistent with the texture throughout. The moisture meter shows a floor baseline reading of ~13% which is certainly no cause for alarm. Elevated levels in the wall, highest at the corner indicated moisture intrusion in this basement from cracks in the foundation below grade. A nearby downspout, and high spring moisture in supporting soil resulted in high basement moisture intrusion in this case. Clean gutters of any debris contributing to overflow, redirect downspout extensions well away from foundation. a tank, a network of pipes and billions of organisms that process your waste. Whether using your inspection report during home-buying negotiations, new home Tarion warranty submissions, or as a to-do list for your home, you can create a repair list directly from the inspection report. 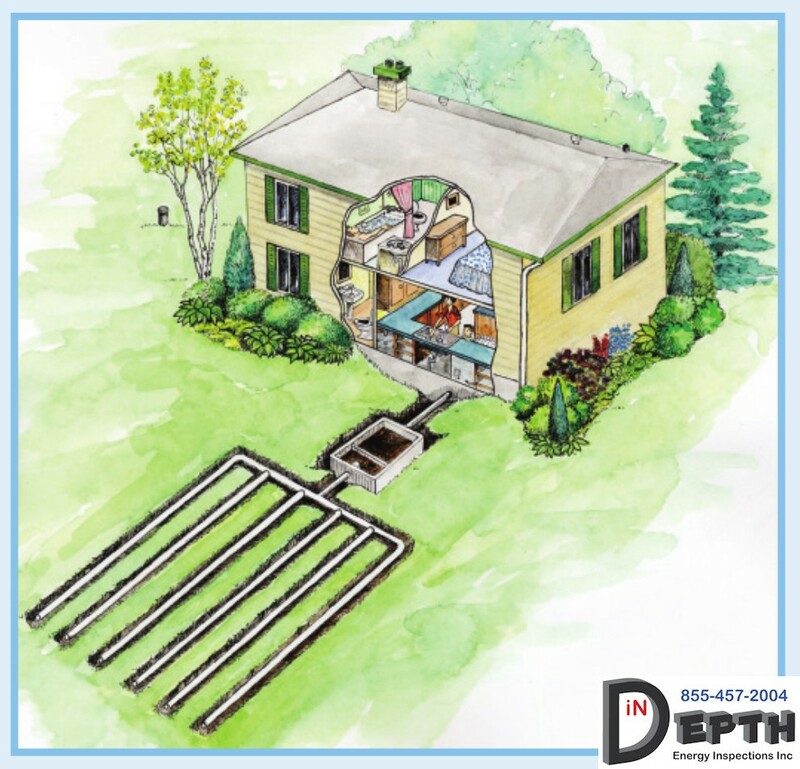 What's eating your septic tank? "Rock solid concrete" should mean you install an adequately sized septic tank once and aside from maintenance pumping, you're set for life right? 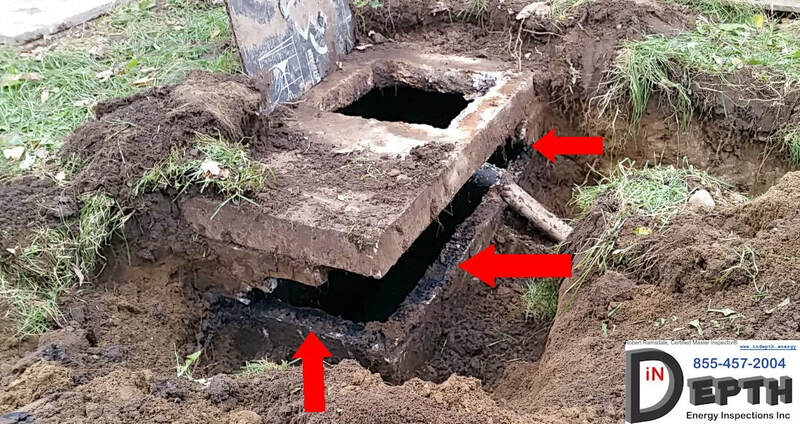 Pictured is a tank that was ~30 years old at the time, with deteriorated concrete in the outlet chamber and a repaired baffle to prevent the floating layer from entering the effluent field. Looks like it might hold up a little longer? Further inspection tells the rest of the story. Among the many gases in a septic tank, methane has an escape path through the vent system in your house since it is lighter than air. However, H2S - Hydrogen Sulfide is heavier than air which is why we first find damage from the resulting Sulfuric Acid in the outlet chamber and around the outlet baffle where the water and air meet. Once past the resistant coating on the tank, H2S damages more of the concrete as seen until you have both a structural issue and the tank effluent is no longer distributed to the absorption field properly. This is one more reason why plastic septic tanks are favored for most applications these days. High Density Poly Ethylene HDPE doesn't suffer the same degradation (think Jesse in 1st season Breaking Bad and the bathtub! ), and lightweight tank installation can be easier too. Whether you're buying a home or cottage, don't just rely on the fact that the liquids and solids may have been pumped at some point. That will tell you the system has had an 'oil change' at some point to meet minimum legal requirements but does not give you an in depth picture of the system components or what substantial costs may be on the horizon. Oil heating, need another reason to change? ,If your home is still heated with oil, you're likely used to regular queries from your insurance company about its age, condition, and possible leaks. Not only are you likely paying a higher annual premium, you may also be required to replace it sooner than expected. Although your 14 gauge / 2.0mm steel tank may meet TSSA standards, the underwriter for your policy may require a thicker 12 gauge / 2.3 mm+ steel tank or a fiberglass tank. Instead of spending another $3000 on a new tank, considering switching to propane. Propane tanks rentals are typically $75-$100 annually. Many propane furnaces are rated at 96% efficient, so more of the fuel is converted to heat in your home. Take advantage of incentives to upgrade your home and heating equipment while they're still available. Start saving on heating and insurance costs now. Contact me, your Certified Energy Advisor®, today to determine which program and incentives you qualify for. Oil, Propane, & Wood now qualify! As of October 18, 2016 Enbridge is proud to offer the Home Energy Conservation Program which provides incentives of up to $1,600 for qualified participants. To qualify for these incentives, eligible participants must complete an initial (pre-retrofit) home energy audit (the “Initial Audit”). The Initial Audit must be completed by a Certified Energy Auditor that has been approved by Enbridge to deliver home energy audits under the Program (a “CEA”). To receive the Program incentives, eligible participants must complete at least 2 of the qualifying upgrades/installations (described below) and achieve a minimum of 15% annual gas savings*. A final (post-retrofit) home energy audit (the “Final Audit”) must also be completed by December 31, 2016, and the Final Audit must demonstrate a qualifying reduction in annual gas savings. The same PCEA must perform both the Initial Audit and the Final Audit.  Have the Initial Audit and Final Audit completed by the same PCEA. 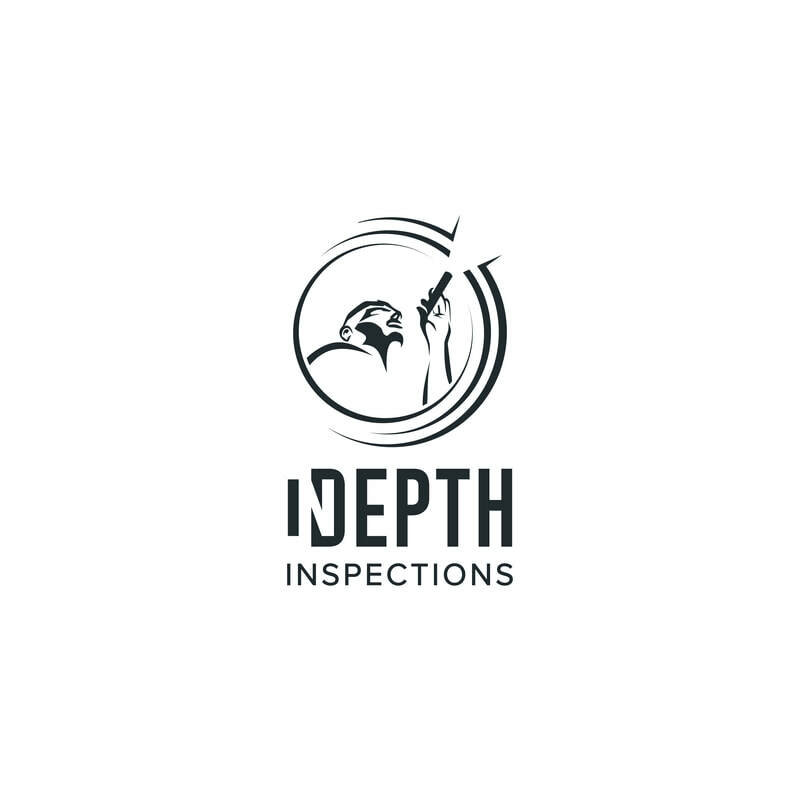 Robert Ramsdale of In Depth Energy Inspections Inc is your local CEA. Call 855-457-2004 now to schedule your pre-audit. Hot Market Affordability 'Cure' ? The Toronto area real estate market is well known as the hottest in Canada now, particularly after foreign buyers shopping Vancouver have been discouraged by the extra 15% foreign buyers' tax. The 33% total home sales plunge in Vancouver since last year illustrates the effect, yet Vancouver sale prices climbed 4.2% in September . Federal government changes announced this week will require those typically categorized as first time home buyers or high-ratio buyers to qualify at higher 5 year fixed Bank of Canada rates, 2.05% higher than TD's 5 year fixed rate today. Changes take effect October 17th. For the 99.72% of Canadian mortgage holders that do not default on their homes, the key difference is that you'll qualify for a smaller mortgage, and/or you'll need to continue saving longer for that down payment. How does that help affordability? It may reduce the total number of buyers in some markets, but it's not millennials and 'better late than never' Gen-Xers that are driving top prices. As the resulting market for condos, townhomes, or 'fixer-uppers' increases, the pressure to compete remains, but with less options. As we've already seen throughout Toronto and parts of Ontario, removing the Home Inspection Clause has become a common strategy to make an offer more appealing. Contrasted to the 70% of home purchases that included home inspections 2 years ago, only 30% of home offers currently include a home inspection clause. With less financial bargaining room, an optional Home Inspection Clause is even more likely to be removed from an offer to purchase. If you're a first time home buyer or anyone without extra cash for repairs after a home purchase, you really need the extra trained eyes and useful explanations about home systems and maintenance, before you go firm. That's where a truly independent Master Inspector is critical to explain risks and concerns in a meaningful way so you can make informed decisions. A quality inspection could be the most important fraction of a percent you ever spend on an investment. Will new rules make an impact to reduce systemic risk of mortgage defaults? Perhaps, but ​let's not pretend this helps people afford homes, or helps consumers by encouraging the risk in skipping a quality home inspection. Whether you're ready to book a full home inspection now, or first want a pre-offer inspection to make an informed offer, I'm your Certified Master Inspector®. An In Depth Energy Home Inspection protects what matters most - your family, and your investment. Log homes may be site-built or pre-cut in a factory for delivery to the site. Some log home manufacturers can also customize their designs. Before designing or purchasing a manufactured log home, you need to consider the following factors for energy efficiency. In a log home, the wood helps provide some insulation. Wood's thermal resistance (or resistance to heat flow) is measured by its R-value. The higher the R-value, the more thermal resistance. The R-value for wood ranges between 1.41 per inch (2.54 cm) for most softwoods, and 0.71 for most hardwoods. Ignoring the benefits of the thermal mass, a 6-inch (15.24 cm) thick log wall would have a clear-wall (a wall without windows or doors) R-value of just over 8. Compared to a conventional wood stud wall (31 D2 inches [8.89 cm] insulation, sheathing, wallboard, a total of about R-14), the log wall is apparently a vastly inferior insulation system. Based only on this, log walls do not satisfy most building codes' energy standards. However, to what extent a log building interacts with its surroundings depends greatly on the climate. Because of the log's heat-storage capability, its large mass may cause the walls to behave considerably better in some climates than in others. Logs act like "thermal batteries" and can, under the right circumstances, store heat during the day and gradually release it at night. This generally increases the apparent R-value of a log by 0.1 per inch of thickness in mild, sunny climates that have a substantial temperature swing from day to night. Such climates generally exist in the Earth's temperate zones between the 15th and 40th parallels. Since most manufacturers and experienced builders know of these shrinkage and resulting air leakage problems, many will kiln-dry the logs prior to finish-shaping and installation. Some also recommend using plastic gaskets and caulking compounds to seal gaps. These seals require regular inspection and re-sealing when necessary. To be safe, always hire an InterNACHI Certified Log Home inspector. Since trees absorb large amounts of water as they grow, the tree cells are also able to absorb water very readily after the wood has dried. For this reason, a log home is very hydroscopic—it can absorb water quickly. This promotes wood rot and insect infestation. It is strongly recommended that you protect the logs from any contact with any water or moisture. 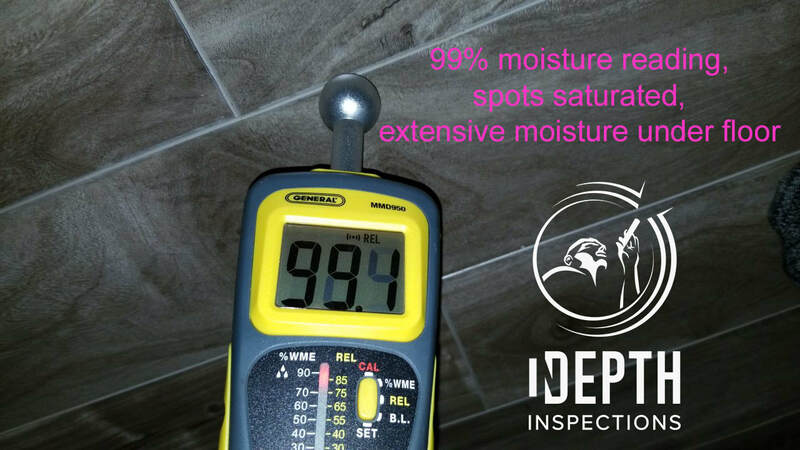 One moisture-control method is to use only waterproofed and insecticide-treated logs. Re-apply these treatments every few years for the life of the house. Generous roof overhangs, properly sized gutters and downspouts, and drainage plains around the house are also critical for moisture control. Because log homes don't have conventional wood-stud walls and insulation, they often don't satisfy most building codes' energy standards—usually those involving required insulation R-values. As Ontario building code energy requirements increase starting in 2017, you may eventually need to demonstrate this home will use the same or less energy than a conventional home built to code. I also offer energy modelling services to help determine overall energy consumption or to help you find upgrades to offset code requirements. Always Independent. Always working for you.